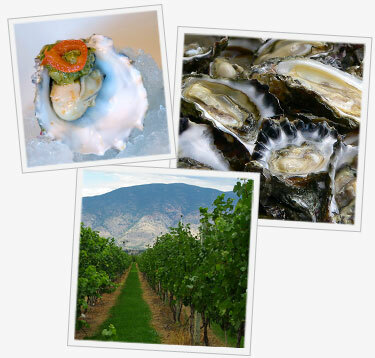 The Third Annual Osoyoos Oyster Festival showcases oysters produced by West Coast fishermen alongside Canadian wines and craft beers. Even oysters need a day in the sun! New for this year a Canadian craft beer and oyster pairing competition sponsored by Spirit Ridge Resort, CAMRA and BC Craft Brewers. Which Canadian local craft beer pairs best with oysters? Winners will be announced at the Spirit Ridge Resort and South Okanagan Chamber of Commerce Beach Brew Party on Friday April 25th, where guests can find their own favourite pairings. The signature event of the festival, Watermark Beach Resort’s The Art of the Oyster Pearl Gala, takes place on Saturday April 26th. This gala showcases oyster creations from Oliver’s & Osoyoos’ best restaurants, freshly shucked oyster stations from West Coast oyster fisherman and wine pairings from the Oliver Osoyoos Winery Association. Results from Canada’s second annual Canadian Oyster Wine Competition will be revealed at 9pm.